To start out our guide on how to live the van life, we have to say that it isn’t for everybody. But don’t worry, we’re here to help you decide if it’s really for you. Before you dive deep into living the van life, you should try it out first. There are a number of companies that you can rent a van from for a week or so. If you can’t afford a van, you can always use your current vehicle. If your current vehicle is very small, see if a friend or family member will let you borrow theirs. If you plan on starting your van life journey in the near future, you will also need to start practicing. By practicing, we mean slowly getting rid of things you don’t need. You may have to throw away some things you really like, but when the time comes to hit the road, you will know what’s truly a necessity. There are many things about living in a van that can cause a big challenge for some van lifers without proper planning and preparation. Reading our guide is a great start to understanding the lifestyles of these nomads, so when you’re ready to join the van life movement, you won’t have second thoughts. Space – The size of the van can make for constant reorganization of things, and a lot of bumping elbows. 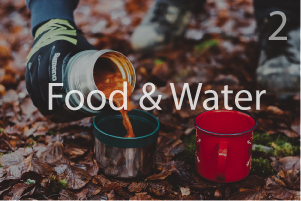 Regularly finding water – This might be the number one thing people take for granted in their everyday lives that becomes a bit of a shock for van lifers. This not only makes quenching your thirst difficult, but cooking certain foods, cleaning your clothes and dishes, and taking showers become a bigger challenge. Temperature changes – In the summer, as you know, a vehicle can get really hot and uncomfortable, and in the winter, a van can get really cold. Having a heater and AC will certainly help, but a van’s insulation is not like a house, which can cause temperatures to rise and fall much quicker. Homesickness – This will come and go. You will certainly make some new friends along the way, but not seeing your closest friends and family on a regular basis can be a struggle for some. Hygiene – If you absolutely can’t deal with public restrooms, van life might not be for you. If your van has a toilet, you’re golden (pun intended). But, if you don’t have a toilet, you will be getting very close with nature, porta-potties, and if you’re lucky, a well-maintained public restroom. Most vans also don’t have a shower, which makes it a bit more difficult to stay clean. Reliability – If you need to bring your van to a mechanic because of a breakdown, you could be without a home for a couple days. Stable income – If you work as a freelancer, income will not be much of an issue. The only difficulty in that is finding reliable WiFi on a regular basis. If you’re not a freelancer, finding stable work can certainly be challenging. Insurance – Vehicle insurance can be challenging for a converted vehicle and getting an appraisal done. Finding where to sleep – If you don’t sleep well at home, it will only be more difficult in a van. You will often be looking for a new place to sleep every night, which can get very stressful. Some places are illegal to sleep at night, so you may be woken up in the middle of the night by authorities. Difficulty Driving – If you consider yourself a sub-par driver, a large van will take some time getting accustomed to. The Impression – In some cities, RVs and vans are really not well seen. In some big cities such as LA, you may feel judged and unwanted since many poor-homeless people in those big cities buy RVs or vans to squat in neighborhoods. Freedom freedom freedom – You can go wherever you want, whenever you want, within reason of course. Cost – It all depends on how you look at it. Compared to most cities, living in a van is going to be much more affordable, but with fewer options in terms of income, it can be more expensive. Experience – New cultures, new relationships, new sights to see. Your adventures turn into amazing stories and unforgettable memories! Less B.S. – Getting away from society can be very therapeutic. Perspective – You learn to appreciate the little things, and begin to take less for granted. Community – The van life community is a friendly, tight-knit group. It’s hard to find any other group of people that have so many amazing stories. You can bond with others who live the same reality as you and share a similar outlook on life. Simplicity – Fewer things means less stress. Having only the things you truly need blocks out the noise and distraction in your life, providing greater meaning. This may sound silly, but it can really change the way you think about material things.